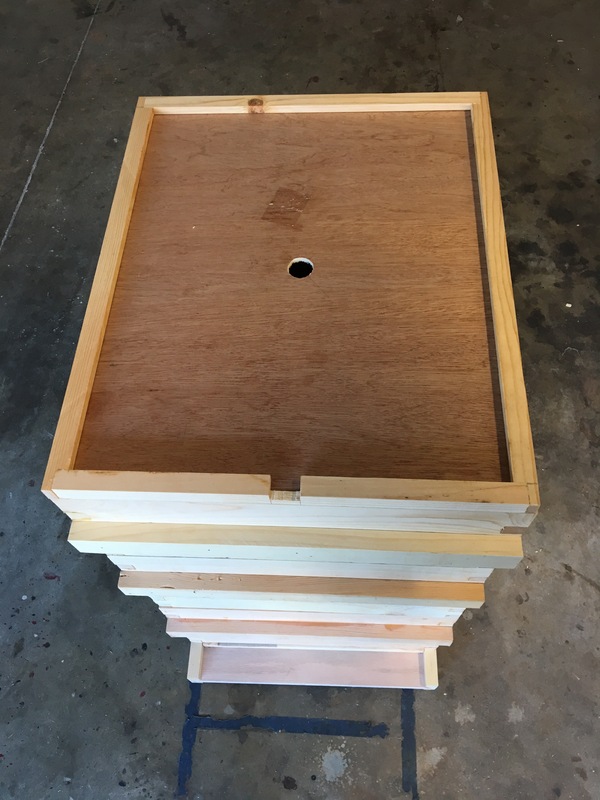 In two previous posts called Building Bee Hives and DIY Beehive – Finger Joints I explained how this project got started and how I set up a jig to create consistent finger joints. 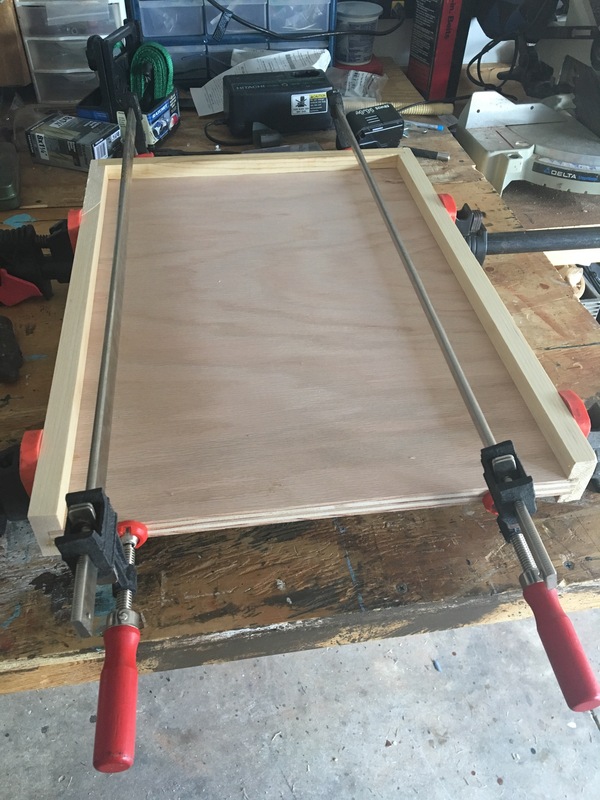 Once I had this jig set up, building the deep and medium supers were pretty simple and straight forward. 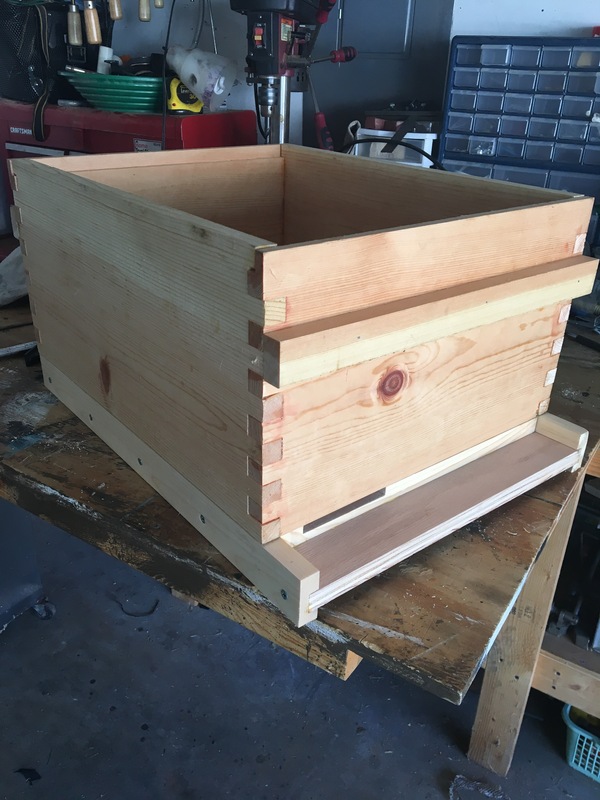 The final parts of the project were to build the base, top and lid. The lid goes on top of the boxes and under the top. There is a small 1 inch hole to allow ventilation. I still need to paint the whole thing white and cover the top with tin. 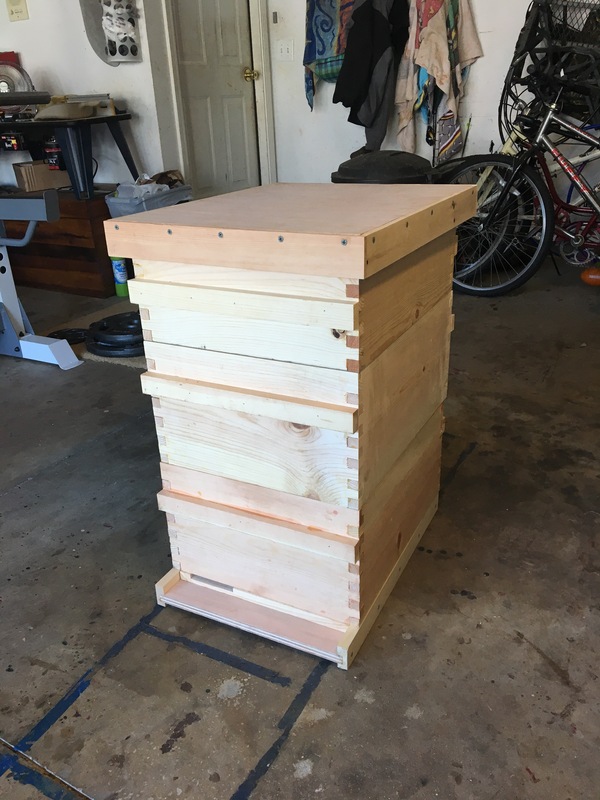 I will finish that up closer to spring when I will actually put bees in the hive.